I know you are the Soul. But…..! I would not want to share the demise of my father in my Blog. But for the Life that he has lead. But for the Poem I would want to share. But for the man that he was. But for the stock of Love and Joy he had for others. But for he always looked everyone as equal. But for he never expected anything in return. But…. On the third day after the death, almost all family members had come and we all sat in the Central Hall after lunch. Everybody wanted to talk a few words of my Dad, and so it began at around 4pm and continued up to 11 pm. It was touching to know of the memories they had shared with my Dad. He always wanted eligible brides and bridegrooms in the family to get married. He would find suitable match for them and would arrange the sorts. He had three great grand sons and had wished to arrange their marriage also. Even being the third day, we all laughed so much; and that’s what my Dad always wanted us to be happy and altogether. I was born and brought up in a Joint Family of nearly 50 people around. As time has passed by, the family has made divisions and now some are nuclear families. Putting all together it may cross 150 people now. Who live all over India and some abroad. My father was 84 Years old and lived in the main house. My mother is 80 years old now and they both had 64 years of full married life. Everybody would visit the place with a right and would enjoy whatever is there in the kitchen. My cousins and all close to the family would meet at intervals and have meetings in the central hall; some would cut jokes, mimicry, etc; we did used to have real fun. When I was a child until recently (about two decades back) the kitchen was one and now they have become around more than ten. In India decades back it was very common to see Joint Families, wherein we would find Grand Parents, Parents, Uncles, Aunts, Sisters, Brothers, Cousins and Children from all ages to new born ones. What a wonderful set up that was. You would get opportunities to know and share love, emotions and feelings. What a tremendous secured feeling that would always give; especially to the women and children in the family. This is for Me, You and Everyone who love their Dad. 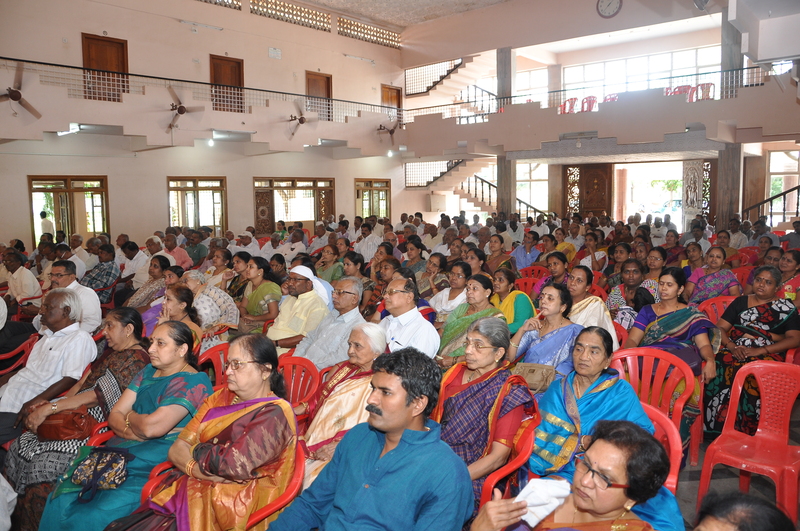 11th of Oct 2015 we are having a Public “SMARANOTSAVA” in which so many people shall talk on their remembrances, thereafter it shall be followed by a Music concert and Lunch. In the Kannada, Sanskrit or any Indian Language you can form one single word using more than two or even four words at a time which would tell the meaning of all the four words. Likewise the word “Smaranotsava” above is a combination of two words- ‘Samrana’ – means remembrance and ‘Utsava’ – means festival, both in combination means a festival of remembrance. Me, Welcoming the Guests and Introducing the Guest Speakers on the occasion. 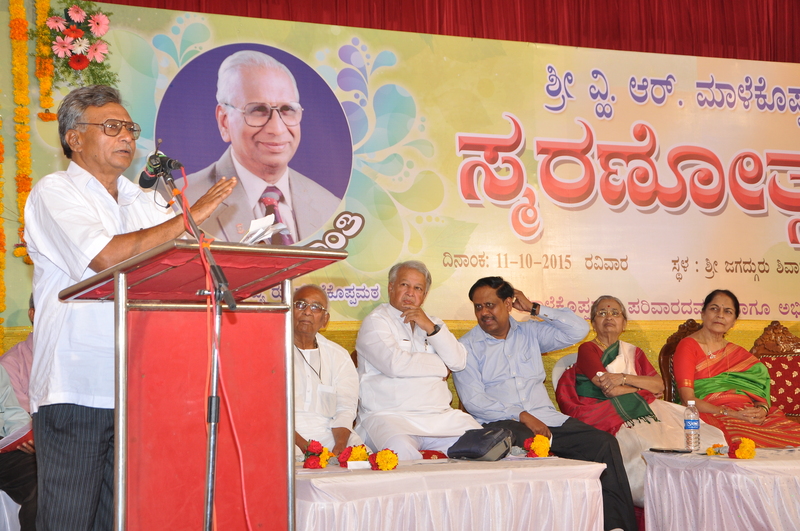 Cabinet Minister of Karnataka State Mr. H.K.Patil addressing the gathering. He said Mr V.R.Malekopmath’s contribution to the Business Community and Society is to be taken as an example and his ideas shall always set us goals in the development of the Nation. 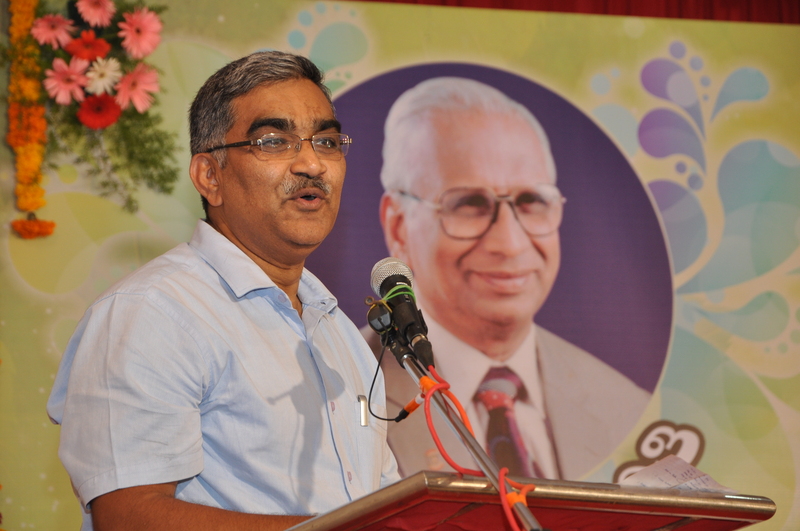 Renowned Business-Man and Past President Karnatak Chamber of Commerce and Industry Mr Madan Desai sharing his reminiscences of the days he spent with Shri V.R. Malekopmath, he said his blessings are always there for us and that in his thirty five years of relationship with him he never talked bad of anybody. 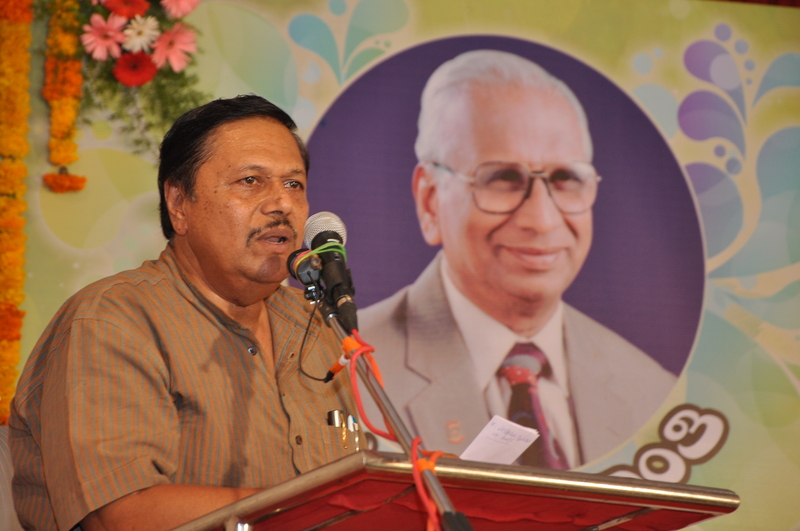 Son-in -Law of my Father ( Brother-in-Law to Me) Prof. N.P. 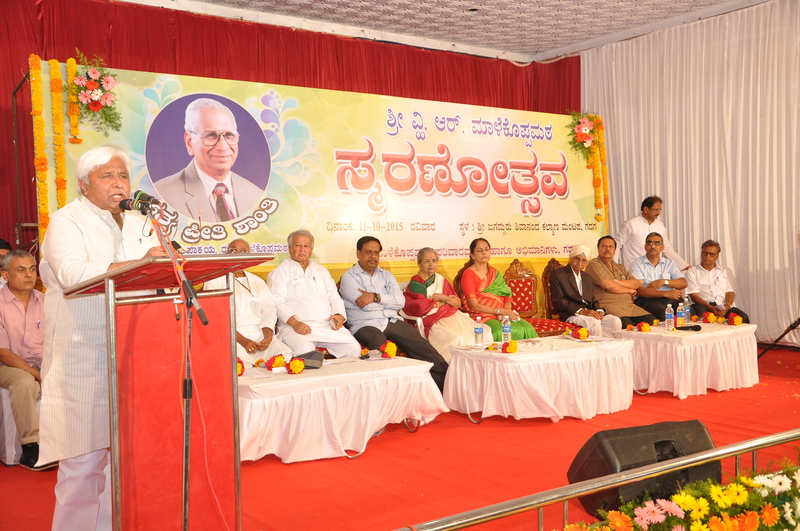 Raveendranath spoke that his father-in-law had opened accounts in the hearts of people and had fixed deposits of love which he never withdrew from those accounts. Young Friend Dr. Shekar Sajjanar in full tears, with whom he spent daily two to three hours in the past two decades or so. He said what he is now, is all because of him. 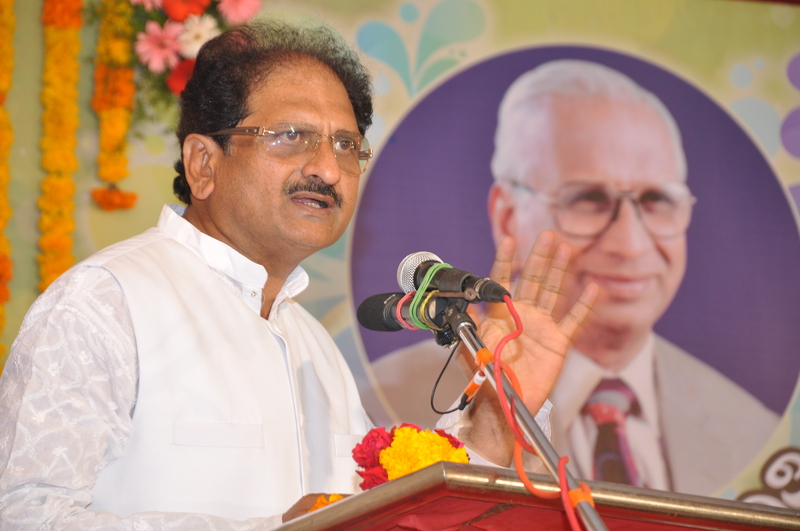 Dr. Shekar is also the Commissioner for RTI. 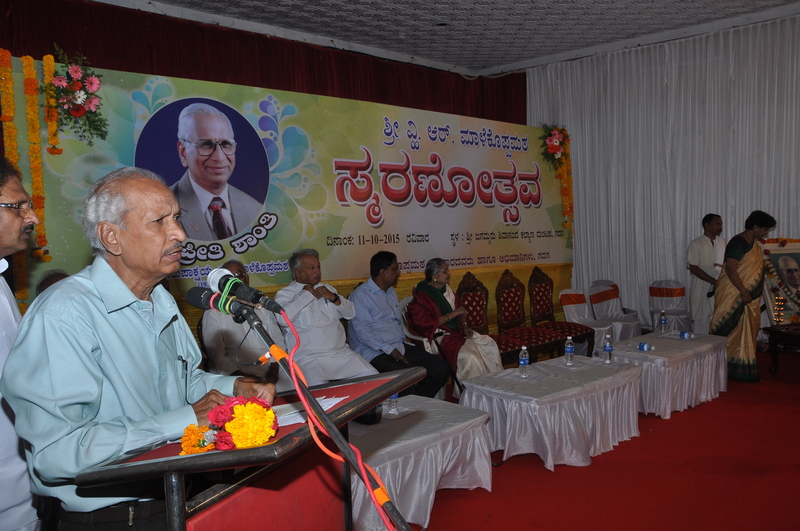 Mr D.V.Badiger, senior literary figure, reading Poems written on my Dad. One Poem written by himself, one written by my uncle and my Poem on this post which he also translated it into Kannada language and read it. 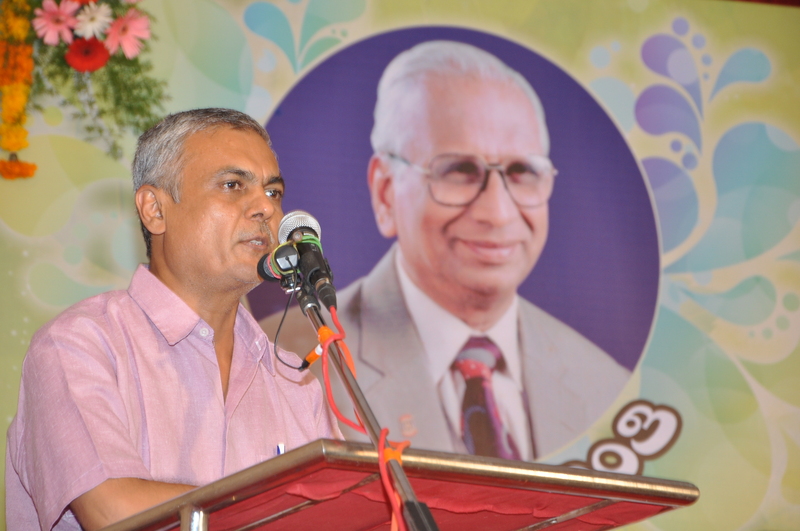 Mr Shivaprasad S M , Scientist, from Jawaharlal Nehru Science and Research Centre, Bangalore spoke good words about his theme- “My Father’s Dear Friend Mr V.R. Malekopmath”. 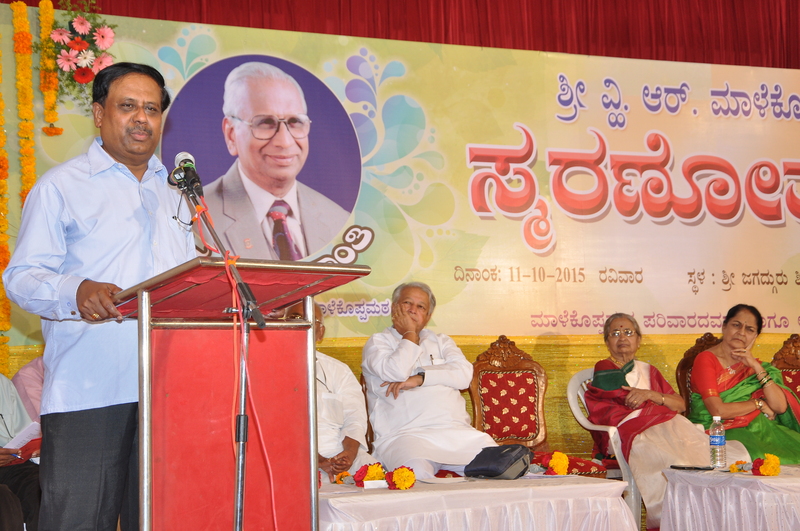 Prof Niranjan Cholayya from Udupi talking about his Uncle. How he used to spend days with him during his childhood. 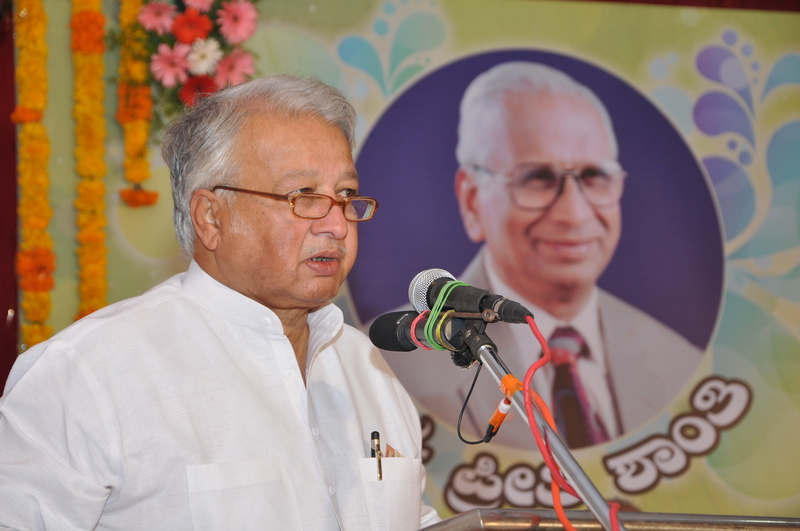 Of the seven Brothers of my Father the Youngest who compered the Occasion Mr. B.R.Malekopmath. This entry was posted in Know me better, Poetry & Photos and tagged Smaranotsava, Tributes. I am so moved by this beautiful poetry, a beautiful tribute to a fine man and father. Thank you for sharing this, my father passed away several years ago, my mom when I was very young, it certainly leaves a void. Much love to you! Thank you for sharing this snippet of your family life and your love for your dad. Very beautifully done Shiva. This is great tribute to your dad. I see he was a very loving man and many people loved him.We thank God for the fine life he lived, the love he shared and the impact he created. Many people are better today because of him. That is great indeed. Thank you for letting me know about this post, Shiva. This was very touching and I understand how much it means to see and feel the appreciation for your father. My heartfelt sympathy! My father died unexpectedly at the age of 65, 3 years ago. Athough it is never the same I feel with you about losing your dad. Thank you for sharing your heartfelt poem and tribute to your Dad. I’m so sorry for your loss. My Dad is still here so I know not of what you speak but can only imagine. Although his physical body is now silent his soul is always with you, but you already know that and you’ll find him in your heart, just listen, you’ll hear him, feel him and know that it is him. It sounds like he lived a beautiful, long life with a wonderful family. Much love to you and your family Shiva! Beautiful tribute to your Dad. My Dad gone for 4 years now. We as a family blessed to know we will see him again forevermore. Gives us great comfort to know and have this blessed hope in our hearts:) We speak and enjoy memories daily. Thank you for letting me know of your poem and post. I am sorry for your loss. Peace friend. I’m very sorry for your loss, Shiva. May you remember your father well always. I am very for your loss Sir Shiva…It seems your father is a very hood man and have raised you wonderfully. I always admire men who are loyal to their wives and great fathers. May you find solace in knowing that he had lived a full life. God bless to you always! Sorry Sir Shiva, I mean I am very sorry for your loss and your father is a very good man for raising a man like you. (It is hard to type sometimes on phone…my apologies for misspelled words). Shiva, be encouraged! I pray that the Lord God Almighty will comfort you and your loved ones beyond your wildest imagination. The poem and the story are very heartfelt. You express that profound joy that sometimes is only realized in a time of sorrow. What impresses me most is the gratitude you share with us for having a father who imparted such good values to his family. I can see that he was a man who wanted the very best for his family. Thank you for sharing this. It has made me think and appreciate my own family. So sorry for the loss of your father. I know that feeling because I passed through that road barely 2 years ago. The comforting part are the good memories. Take heart. The loss is irreparable and the void shall never be filled up. May his soul rest in peace. This is a wonderful tribute to your father. Thank you for sharing this beautiful essay of your Father’s passing. A good life, well lived. My sorrow at your and your family’s loss. Sorry for your loss Shiva! What a difficult time this must be for you! What a beautiful tribute to a wonderful man! I’m so sorry to hear of your loss. Many blessings to you, your father, and all who loved him. I am so sorry for your loss Shiva!! My warmest sympathy!! Thank you for sharing it with us!! You are such a strong person!! Such a beautiful tribute to your father, Shiva. I’m so sorry for your loss. My thoughts and prayers are with you and your family. Beautiful tribute to a beautiful life. I’m so sorry to hear of your father’s passing. What a wonderful tribute. What a beautiful tribute tour dear and revered father. 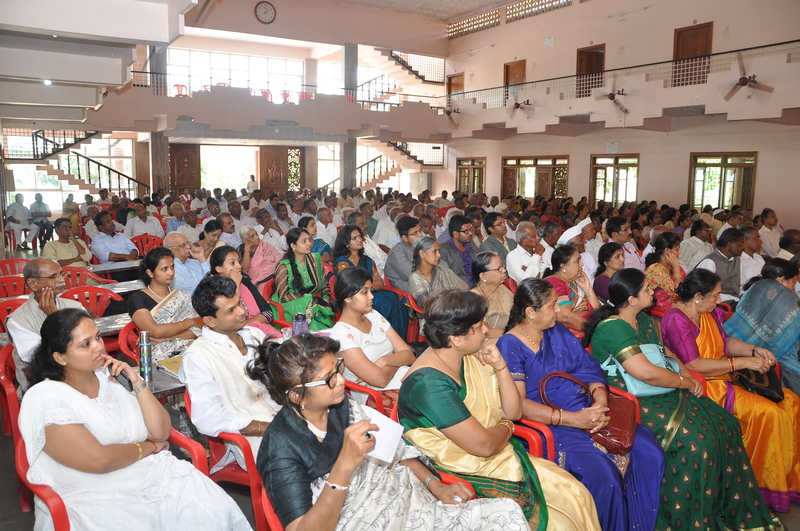 The description and pictures of the function reveals the respect he commanded. You are indeed blessed Shiva. Thank you for sharing. Regards. The joint family you grew in looks like a beautiful place. Now we don’t have them anymore! I pray to God for him and for all of you. May his soul rest in peace! All we have are the choices we make when handed a twin branch and I am so glad for your father and all of you that he seems to have made the best of choices. To speak wisdom and love as a parent or any other type of person that others would look up to is good but to live wisdom and love in one’s daily life and lead by example is an outstanding gift that is only granted to the Truest Hearts. May he rest in peace and may your grief be outweighed by the happiness you have lived with him and through his teachings. Thanks for visiting my blog. I see pictures of 7 people upper right with whom I share blogging. My parents moved in with me in 2002. Mother passed away in 2012 at 88. I was her home hospice nurse last 5 weeks of her life. Father still with me and turned 92 Oct 29. I visited your blog just now and saw your Dad too. I wish him many more years of good living and with all your care shall he. It brought tears on my eyes….ahhhhh…I felt a lump on my throat…. That makes me feel good rather. When one shares it is very soothing. As you have said, that makes me feel so every time I think and read. I as well thought that the lump on the throat is an astounding experience one can have especially at such situations. yeah …it is indeed..those are beautifully crafted thoughts written in a very soothing way.. This is such a beautiful and moving tribute to your dear, beloved father. I am so sorry for your loss. Thinking of you. It was so moving to read of the respect and love your father brought. He surely touched many, many people.Thank you for sharing. I remember my father having said once long before his death; how shall I leave you all loved ones and go, because death is going to take me away from you all. Such was his tenderness and love towards all. Thanks for your tender expression of love. It’s lovely how fondly you remember him. It’s a true blessing to have a tender and loving parent. I think yours is the comment I have responded on this post, because then so many had shared their thoughts and had been one among my state of sorrow, I really appreciate them. As a writer and you being an inspiration to other women go through other posts of mine only if you have the time, normally I do not recommend anyone to do so. Please, please do not think otherwise; its left to you. I also want persons with stuff to read. I hope you understand. I am sorry for your loss first.. you read my poem on mother and I can understand your feelings at that time.. The Dream I saw is your life, I just cant imagine to live it.. I dont have words to console you neither can I.. Parents are the best gift from god to us.. May we all respect them and give them What they deserve..
Those Dear Ones we shall not get for a price. If we were able to give them what they deserved. Every penny of this world can’t pay for it..
One of the best tributes one can give! Shiva, what a beautiful tribute to your father. You can feel the love you have for him in your writing. As you know my dad passed away 2 years ago. The love we have for them doesn’t end when they pass away. Every time it brings tears. Even now after reading your comment. He was such a man. By seeing the picture of your Dad I felt so.